What can we learn from those who have turned their psychological crisis into a positive transformative experience? During a quarter-century documenting indigenous cultures, human-rights photographer and filmmaker Phil Borges often saw these cultures identify “psychotic” symptoms as an indicator of shamanic potential. He was intrigued by how differently psychosis is defined and treated in the West. 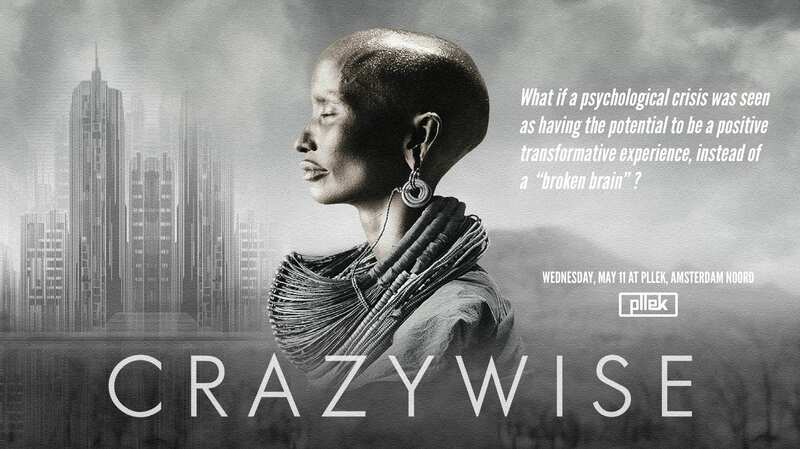 CRAZYWISE doesn’t aim to over-romanticize indigenous wisdom, or completely condemn Western treatment. Not every indigenous person who has a crisis becomes a shaman. And many individuals benefit from Western medications. However, indigenous peoples’ acceptance of non-ordinary states of consciousness, along with rituals and metaphors that form deep connections to nature, to each other, and to ancestors, is something we can learn from. The documentary is 82 minutes and will be introduced by Luc Schoot from Crazywise NL. Afterwards, we continue with a ‘Knowledge Cafe’- an informal get-together where 6 experts within the field of psychology, (alternative) medicine and indigenous culture further discuss the topics raised in this documentary. The audience is encouraged to join & add to the conversation where ever they see fit while enjoying a few drinks at this amazing location. Experts: Inge van Schooneveld (Sinchi Tribe), Kim Helmus (psychologist, Stichting Wat Doe Jij), Kiki Toao & Rombout (The Shamaniac Movement), Vincent Foster (Foster The Flow) and Hans West (addiction- expert, Controleer je Verslaving Praat met Hans).